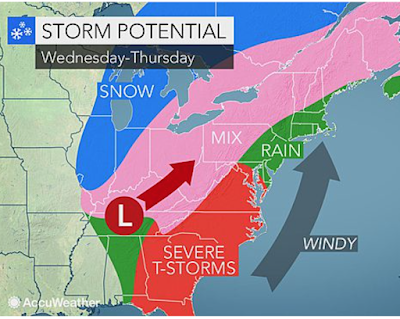 If you are traveling, it may be a messy period as a significant storm is now beginning to develop. So, let's run it down chronologically. 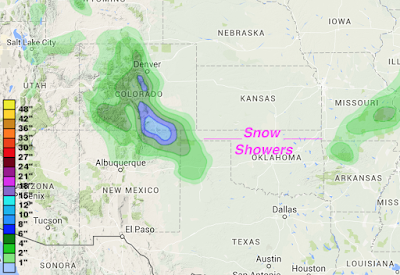 As the storm gets organized, snow showers will occur in the Plains and Colorado Rockies. Very heavy snow will occur near the New Mexico-Colorado border. A winter storm warning is in effect for that area. The storm gets much better organized Tuesday night and by Wednesday and Thursday heavy snow and ice will be a problem in the indicated regions. 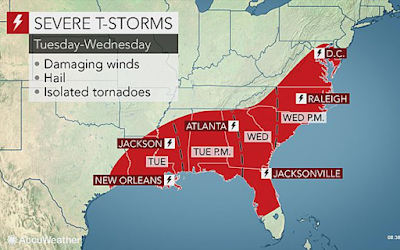 AccuWeather has more. 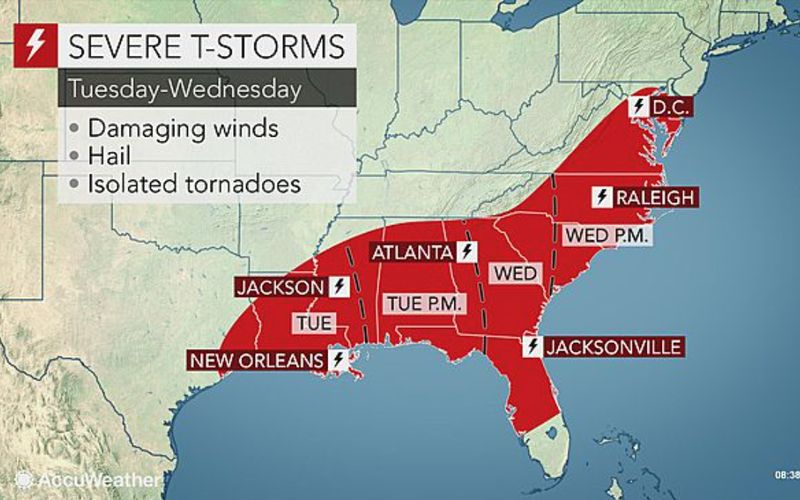 Keep up on the weather if you live in the outlined areas.